SYRACUSE, N.Y., Apr 02, 2019 (SEND2PRESS NEWSWIRE) -- Teens with food allergies are at the greatest risk of suffering a fatal reaction. Fifteen-year-old Olivier Deldicque is on a mission to change that. 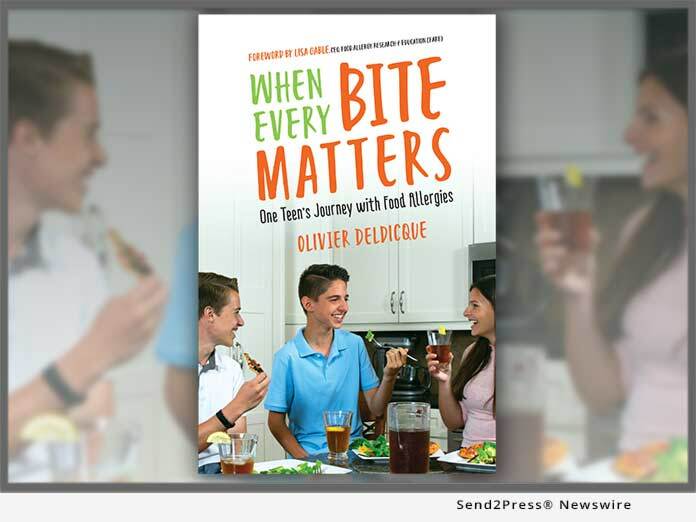 His new book, "When Every Bite Matters: One Teen's Journey with Food Allergies" (ISBN: 978-0578418537; Pop Fly Publishing) outlines life saving tips and advice for teens coping with food allergies.